Join us as we discuss how educational therapy and coaching can help all kids thrive through educational, social, and behavioral support. Do you have a child seems unmotivated? Or doesn't recognize their own strengths and talents? Does your child have trouble making healthy decisions? Is your child unsure of what they should do or even how to set long-term goals? Educational therapy interventions include executive functioning coaching, wrap-around organizational support, emotional resiliency programming, and case management services which include personal development, family relationship building, and communication with school faculty and staff and other related professionals. In the process, therapists identify and asses student’s learning needs and tailor a complete plan to address and support healthy development. This work helps build a child’s theory of mind, develop and utilize strengths-based approach to harness an individual's strengths to overcome challenges, enhance their understanding of how their brain impacts their behavior and development, and strengthen any processing gaps. Educational Therapy is often used to support students with learning differences but can be utilized to address most behavioral issues that result from challenging academic, social, or intellectual contributions. If you want more information, or about how to get started with our Courageous Kids Program, please head to our website at https://livesofcourage.lpages.co/educational-therapy-info/. Please feel to also also email us at hello@jessicastong.com with any questions! Thanks for listening! Join us for our 3rd Courage in Action Interview with the incredible and talented Ginny Ellis. Ginny has so much to teach all of us - can't wait for you to hear her! Enjoy! And don't forget to let us know if you have any questions at hello@jessicastong.com. Hugs! Have a great week! When you’re a parent of a child with a learning differences or learning disabilities there is a big learning curve. It can be overwhelming and scary at times. You don’t know what it means for your child. Will they always struggle? 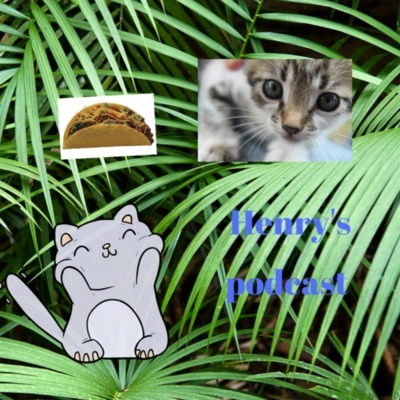 On today's podcast, we are discussing Learning Differences. This podcast is for parents whose children have already been diagnosed. If you’re struggling and think your child might have a learning difference, you might want to listen to next week's podcast first! For more information, head on over to my website at www.livesofcourage.com to download your free worksheet: Tips for Parents of Children with Learning Differences as well as a link to Resources for Learning Differences. As always, don't hesitate to reach out if you need anything or have any questions at hello@jessicastong.com. Hugs!! Join me in discussing what it takes to raise kids today. The challenges and pressures facing parents are significant and the cause of much concern and, at times, overwhelming stress. But we can do this - we can invest our time and resources to help our families grow in strength and resilience. From my experience, this important work to create change in our families starts and ends with us. Parenting with courage helps children to build a story of strength to reflect on just how important they are and why they matter. But please know You are not alone. I want you to take some time to write down what you want for your family and your life. You can download a worksheet to guide you in this process at livesofcourage.com/podcasts or a free Guide to Parenting with Courage at www.livesofcourage.com. Could the myth of perfection be holding you back? For me, it certainly was - so please join me, as we confront the perfection in our owns lives on this week's episode. For our second interview, I'd like to introduce my dear friend, Erin Bartel. Erin is one of the most courageous and compassionate people; I know her story of grace, hard work, faith, and triumph will inspire you. So please join me in welcoming Erin!! I'm so excited to share with you our first Courage in Action Interview with the wise and talented Dana Hensley!! Dana is an inspiration - and I know you will learn so much from her story of strength and courage. Join us as we discuss how yoga can benefit you and your family, with a quick chat with 9-year-old Henry, author of Yoga for Kids by a Kid. In this week’s podcast, I want to offer you a bit of information about individual coaching and why it is a powerful tool to increase your satisfaction, efficacy, and self-understanding! 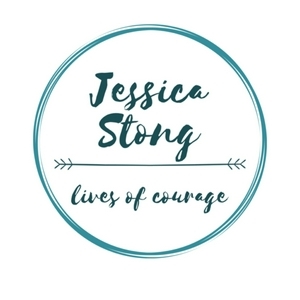 For more information, visit: www.jessicastong.com! We are chatting about the how and why of discussing learning differences with kids - for parents and educators. We also draw on the All Kinds of Minds neurodevelopmental framework to give you the language to discuss strengths and opportunities for growth! Join us for the why and how of goal setting - and how we can use our values to inform our efforts! thanks for listening see ya later. Join us as we how to parent from a place of connection. We'll also look at how the brain works and how it directly ties to parenting. We are chatting this week about ways to develop resilience in your own life and in your children’s lives! Come learn six tools for resiliency today. Tips for parents, teachers, tutors and friends on how to promote growth and development in children. We’re discussing how to be kind to others by living a life of compassion.